Display your medals with this rustic wooden medal hanger. Great for marathons, events, and awards! Can be personalized! Measures approx. 16” x 9.5”. Choose from unfinished or stained. They were phenomenal and the medal holder is beautiful! 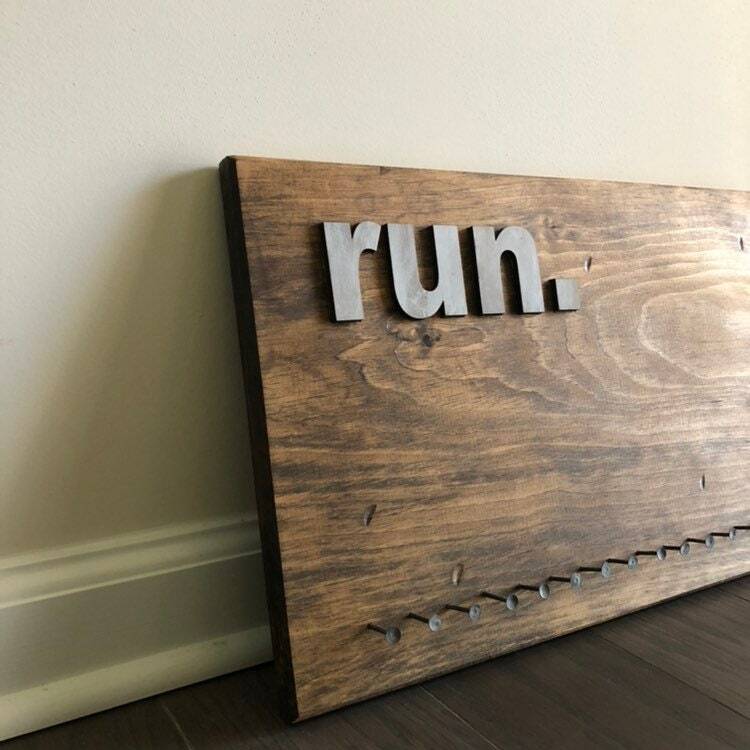 I got this as a gift for my runner friend and they loved it! Finally a beautiful way to display his medals.